Rune Balot is weeping and trying to save both herself and a severely injured Oeufcoque from Shell's assassin Boiled. Luckily for her, Doctor Easter finally shows up in the Humpty Dumpty – a special militarized vehicle made for protecting those in Welfare cases if their lives are threatened. From there they go to Paradise, where the Scramble 09 technology (and Boiled's rebirth) was developed. All of the secrets of the past of Mardock City (and possibly its future) are revealed in this riveting second part of the Mardock Scramble series, upping the stakes and making Balot choose between justice for herself or peace within Paradise instead. 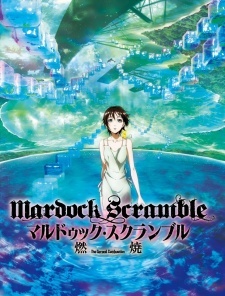 Watch Mardock Scramble: The Second Combustion Episodes Online at Animegg.org. Mardock Scramble: The Second Combustion is available in High Definition only through Animegg.org. Choose an episode below and start watching Mardock Scramble: The Second Combustion in Subbed & Dubbed HD now.